Canoodle connects people based on their interests, and does so with ease! The unique process begins by connecting an account with Facebook or e-mail and uploading your most valued interests. Once you've done that, it’s time to meet like-minded people with similar interests! The mobile site offered by Canoodle is compatible with iOS and Android mobile devices. If you choose to get the app for Android, the installation process will be simple and quick. After the app has been installed, or once the mobile site is accessed, it’s possible to create a profile based on interests. Afterward, it’s possible to begin viewing users with similar interests. 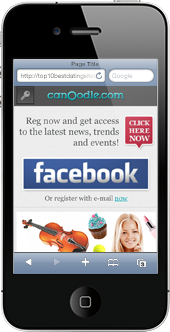 Canoodle provides an easy to use app with a simple and clean interface, and a mobile site that’s fun to navigate. The dating platform on Canoodle is secure for all of its users. The service will keep all personal information safe and secure unless the users choose to reveal it.